Asphalt shingles remain the most popular roofing material in America. While not the most durable option around, composition shingles aka fiberglass mat asphalt shingles are the most economical. They make for quick installation and continue to be improved upon. Since the 1980’s, fiberglass shingles have effectively displaced the traditional organic asphalt shingle. The cost of materials and installation has stayed relative to the rate of inflation. As roofers discuss everything in terms of squares (100 sq.ft. ), let’s use those rates. On average, a square of fiberglass roofing shingles will run $275 to $450 per square fully installed. Note: In high cost of living areas such as DC, NYC, Boston, Seattle, San Francisco, and LA, the cost can easily exceed $500 per square installed. If choosing to go with professional installation, on average, you can expect to pay between $6,000 and $12,000 for a 20 square, or 2000 sq.ft. roof. — This includes all materials and labor, tear off of the old roof and disposal, permitting, and 5 year warranty. The material cost, per square foot, for all other roofing options is $3 and up, while fiberglass shingles are easily well under $2 per sq.ft. You’d have to go with architectural grade to have it rise to the economic grade of other materials. Traditional asphalt shingles, often referenced as organic mat-base shingles, were heavier than the contemporary fiberglass version. This is a result of needing 40% more asphalt than the updated fiberglass version. The fiberglass base mat along with the ceramic granules are truly the primary materials while the asphalt layer serves the important function of waterproofing the mat. The granules, both old and new, serve the purpose shielding the shingle/mat from harmful UV rays. Less asphalt does make for less flexibility and initially less durability. Though organic mat-based are well known to absorb water which during changes from hot to freezing temps, lead to more cracking or warping of the shingle. Being lighter weight, fiberglass shingles are easier to transport, thus more eco-friendly in terms of energy needed for transport. And less weight that will end up in landfills, which is overall a disadvantage of asphalt shingles compared to recyclable materials such as metal and ceramic tile. Two different types of fiberglass shingles exist, with enormous amount of sub-variations. Three-tab shingles are the less expensive version that delivers an overall flat looking roof. The ’tabs’ are actually the shingle that on a finished roof are not detectable as all shingles look like individual pieces, when really they are overlapping pieces of three-tabbed shingles. Architectural grade is the second, more expensive version. Sometimes referenced as dimensional 3D or laminate shingles. This type of fiberglass shingle provides extra depth and shape to what is the resulting shingle appearance. The contoured look gives off more of an impression slate tile or even wood shake. Both types of fiberglass shingles can vary the color on a single roof, but three tab is commonly a single color while the dimensional tiles have visible shade and hue difference among each piece. All contemporary roofing materials have limitless color options and fiberglass shingles are no different. Green, red, brown, gray and black are all common for fiberglass shingles. A significant advantage architectural shingles have over three tab is the manufacturer’s warranty. Typically three tab will carry anywhere from 15 to 30 years depending on manufacturer, climate and regional environmental factors. Architectural grade starts with a minimum of 30 years. The same roof mentioned in the Cost Basics section above, using laminate shingles, would be $8500 to $15,000 with labor, for 20 squares. For low sloped roofs, three-tab is the better option as the contours of a dimensional roof could hold or trap water more than the flatness of the three-tab version. Some manufacturers use colored granules designed to reflect sun rays, thus delivering cool roof type technology on an asphalt shingle application. While metal roofing is superior when it comes to actual cool roof benefits, you’ll want to check for Energy Star rated fiberglass shingles to achieve these sort of benefits. Similarly, contemporary fiberglass shingles have the option of being treated for algae resistance. If you go for these, plan to pay as much as 15 percent more for roofing material. For homeowners in high humidity or increased precipitation, this may be of interest to you. due to shorter life span, the need for annual check ups is greater along with possibility of needed repairs from curled or cracked shingles. Especially a factor for three tab shingles in hotter climates. There are not many roofing materials that can match the longevity, durability, malleability, flexibility, resiliency, and cost-effectiveness of Zinc. Not even aluminum or copper! Zinc roofs are known to last for hundreds of years, even in the most extreme environments. 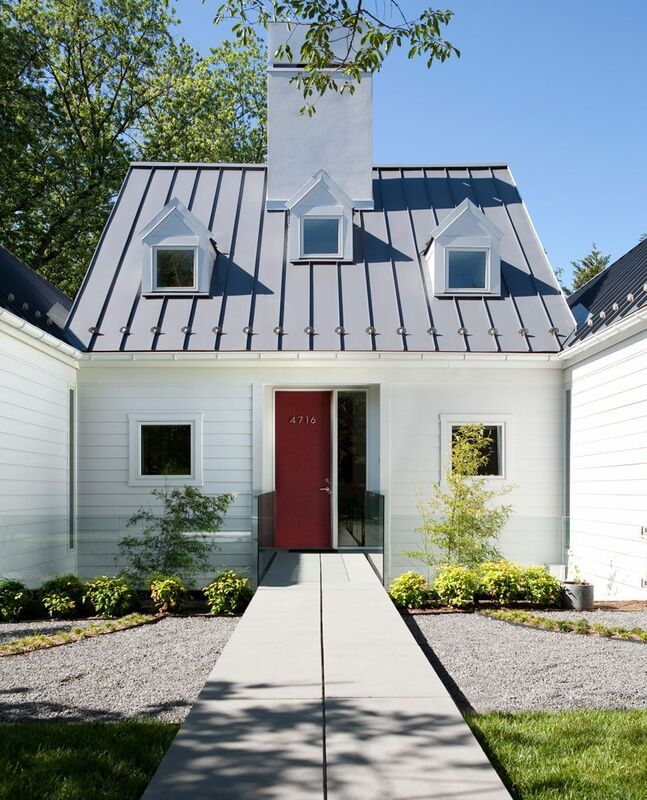 Truly unmatched durability, longevity, and classic beauty — that’s what zinc roofing offers to a homeowner. — At $12 to $15 per sq. ft. installed, it is the kind of value that is simply unmatched in all other roofing materials. 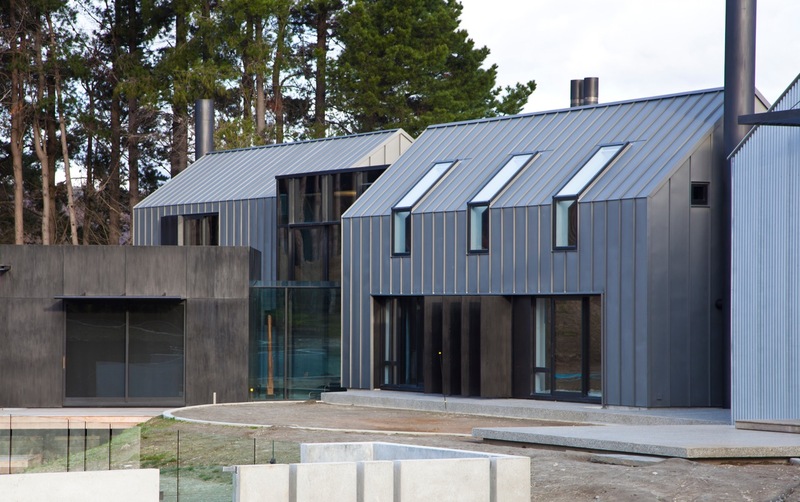 Zinc — Most Amazing Building Envelope Material You Never Heard of! In the US, the whole idea of using Zinc as a roofing or cladding material for a house may sound other-worldly. Aluminum and steel dominate residential metal roofing market, while asphalt shingles are by far the most popular overall roofing material. When you also factor in natural slate, clay tiles and cedar/wood roofing options, Zinc barely registers on most people’s radars. Though this trend is changing, slowly. Did you know? 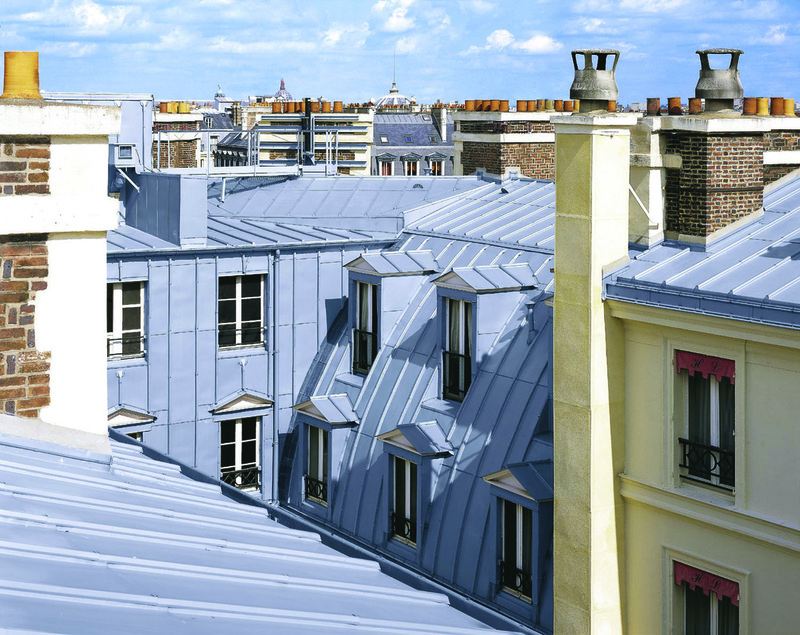 70% of residential roofs in Europe are covered with Zinc. In Paris, this number goes up to 85%. 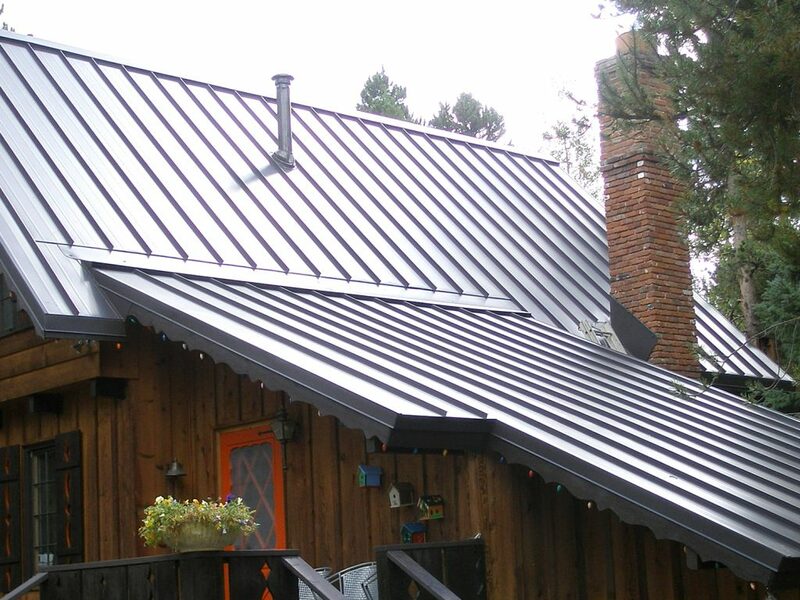 Metal roofing is often chosen for its durability and longevity. All properly designed and correctly installed high-end metal roofs are likely to last at least 50 years. Yet, in order for that to hold true for Steel, for example, it must be coated with metallic finishes such as G-90 galvanized steel and Galvalume (zinc and aluminum coating), along with high quality paint finishes such as Kynar 500. With Zinc, as well as copper, that is not the case. Both Zinc and Copper form protective patina, meaning they will not rust nor be adversely impacted by weathering. Both of these metals benefit from aging, and their patina process. With Zinc, it starts out dark, as in dark gray / near black and then changes to a patina light gray or bluish color. Zinc can also be painted virtually any color, which serves as a sacrificial layer prior to the patination process. What makes Zinc truly fascinating is its resiliency. All metal roofs, including Zinc, can be scratched. With Steel, scratches in its coating layer will expose the base material to the effects of oxidation and corrosion. With Zinc, it actually self-heals. You read that right, Zinc if scratched will self correct. The protective (patina) layer of Zinc is technically hydroxyl carbonate that will, over time, reform itself and thus eliminate blemishes or scratches. This is one, of a few reasons, why the market for Zinc will often sell pre-patinated Zinc roofing. As you may have guessed, Zinc is extremely durable. When steel is “galvanized”, it is really just adding a protective layer of Zinc to dteel base to protect it from oxidation, as Steel is naturally corrosive, or will rust when exposed to salt, water, or moist environment over a long period of time. galvanized and Galvalume Steel will forgo that aging for a couple of decades. Like most metals, Zinc is insect-proof, fire resistant, and mildew / fungus-proof. Zinc also benefits from being non-toxic. Because of its low to non-existence toxicity level, soft zinc is marketed as replacement for flashing material for all roofs. Back in the day, the traditional material was lead, then steel, but soft zinc, offers virtually the same level of durability with no known toxicity impact. Did you know? Run-off water from Zinc is considered ‘clear’ or contaminant free, which most metals can’t readily claim. 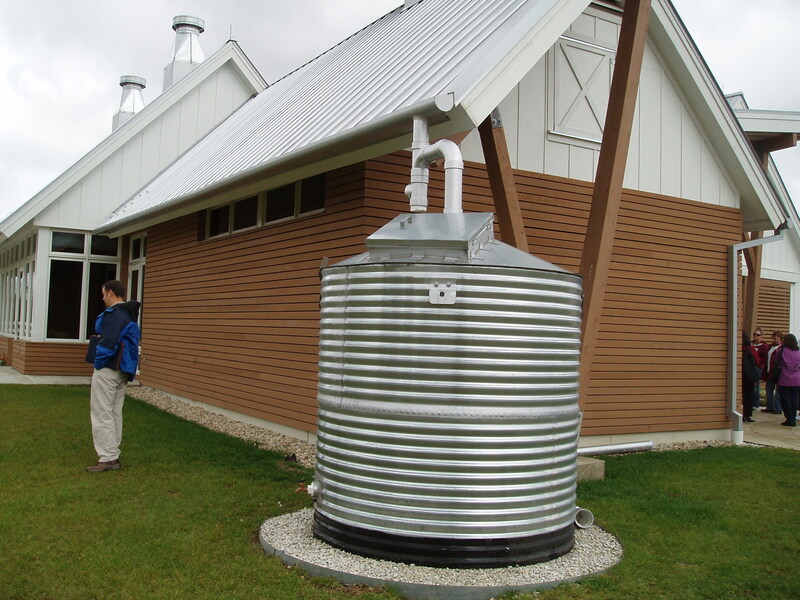 Thus, a zinc roof is a great option for homeowners interested in rain water collection. Like many other metals, zinc is fully recyclable. Plus, it will reflect solar radiant heat, as most metals do to some degree, which prevents the unwanted transfer of heat from the roofing material into the attic space. On the contrary: Asphalt shingles gain a lot of heat during the day and transfer much of it inside your home. Moreover Zinc has even greater environmental value in that it takes less fuel to manufacture it, really to boil it and shape it into finished roofing product. Did you know? Aluminum and steel use a good two to four times the amount of energy in their production compared to Zinc. All this value would make you think it’s gotta be at least as expensive as Copper. Nope. Not necessarily.